London Morgan, the official London dealer of the Morgan Motor Company, is proud to announce the introduction of a new Aero 8 model, which made its global debut at the 85th International Geneva Motor show this week. With significant visual and mechanical changes, the 5th generation of this iconic model is the most refined Morgan Aero product to date. Styling of the new Aero 8 was influenced by classic open cars from the 1960s, reflecting a trend of long, fast and low shoulder lines and cabin focused body work. From above, the view echoes that of a boat deck, enhancing the sense of adventure and escapism. A dramatic rear opening clam shell boot is used to both tension and hide the new double-lined mohair hood. Occupants are seated low in the vehicle, which in turn enables a sleek roof line and balanced vehicle proportions. The Aero 8 is available with an optional hardtop that transforms the car into a coupé with ease. Passenger ex perience has been at the forefront of the design process. New dashboard arrangements, real wood surrounds, textured box-woven carpets and fine leather trim enhance the new interior. 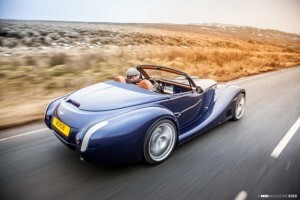 The introduction of a new air conditioning system ensures that the car is more usable in warmer climates, a reflection of Morgan’s expansion into new markets across the globe. Optional touch screen media systems, low slung carbon seats and bespoke detailing packs add to Morgan’s already extensive options list. 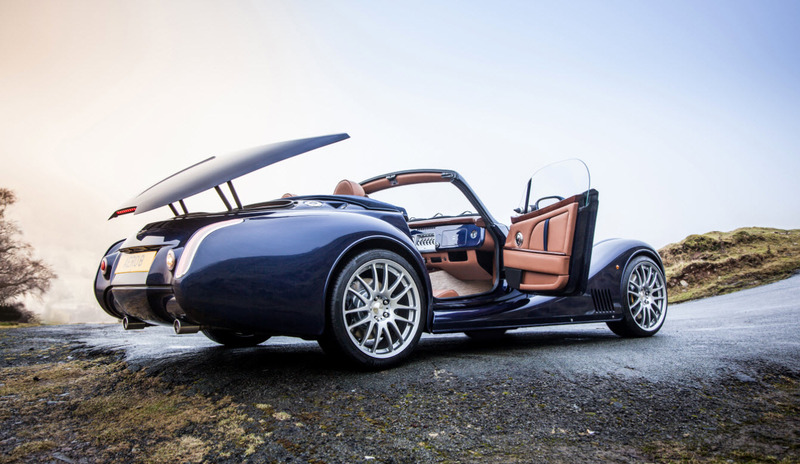 This, the most refined Aero product to date, is a fitting evolution of Morgan’s most technologically advanced range of vehicles. 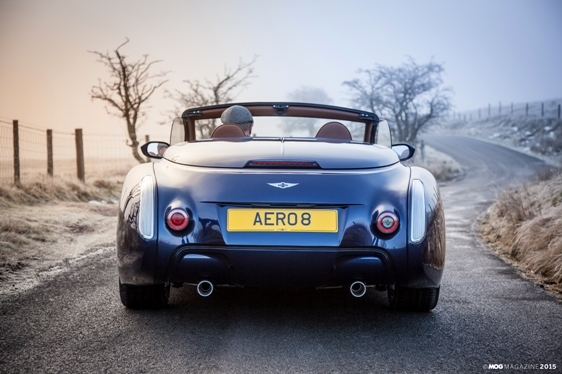 The Aero 8 will enter production in Q4 2015 with limited production numbers available. Morgan tailors every car to align with the customer’s personal vision. With infinite combinations of paint, leather and a vast array of detail choices, every Aero built will be a one-off. 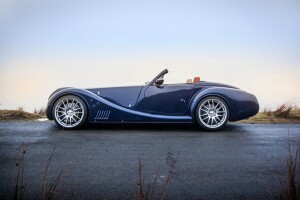 “Morgan cars are synonymous with open top motoring. 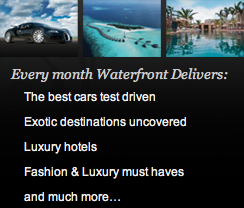 We produce 2-seater sports cars that are lightweight and exhilarating to drive. The new Aero 8 signifies a return to this formula within our flagship range of vehicles. The Aero 8 offers the perfect marriage of fine craftsmanship and performance technology, one that we believe is so important in today’s increasingly autonomous world.” – Morgan Managing Director, Steve Morris. 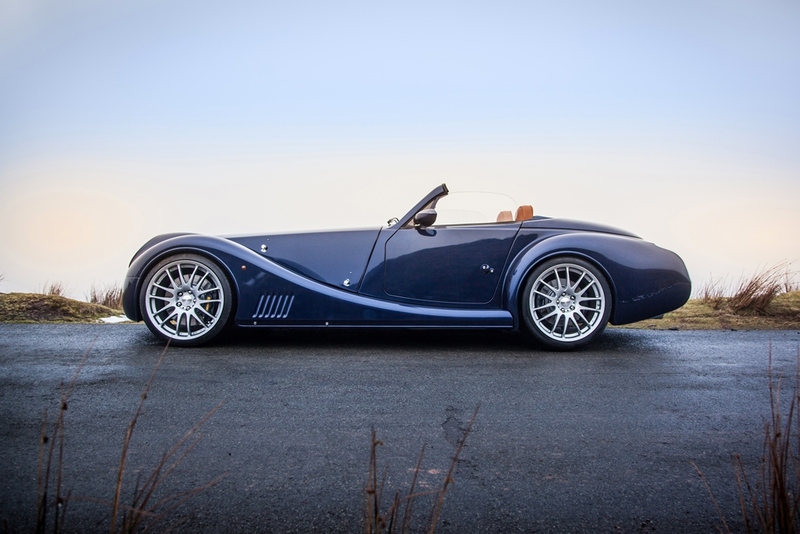 “This project presented us with an opportunity to evaluate and capture exactly what defines Morgan as a class leader in hand-making luxury British sports cars. Over the last 15 years the Aero Platform has successfully evolved both aesthetically and mechanically. Now on the 15th anniversary of the original iconic Aero Eight, it is incredibly exciting to have the chance to revisit the design with this knowledge in mind.” – Morgan Head of Design, Jonathan Wells. 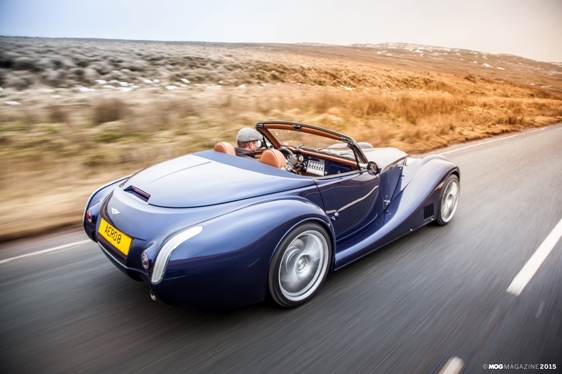 “London Morgan is extremely excited to be bringing the Aero 8 to the capital. The new Aero 8 perfectly embodies our fusion of British heritage, contemporary design and bespoke craftsmanship, and we certainly anticipate the car’s sophisticated character to encapture the attention of London’s cultural, cosmopolitan individuals”. – London Morgan Dealer Principal, Anthony Barrell.